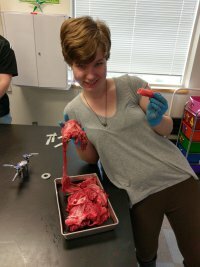 We are so lucky to have BYU Anatomy students after school in our Biology classes. 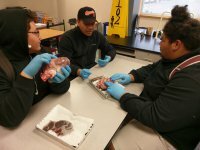 These BYU students have a program called Touch a Heart. 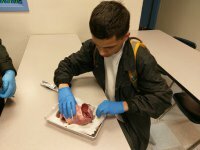 The idea of the program is to have students work with organs to spark their interest in Anatomy. 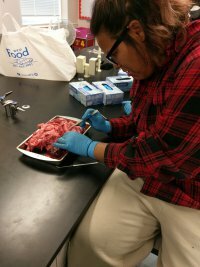 We are hoping to expand this program so that students can receive science credit, as of now, it is a fun class where students can get hands on experiences. 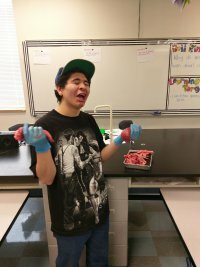 They have dissected pig lungs and hearts so far and our students are super excited for more!